Adding a third string to its impressive bow, the resort arm of the Ritz-Carlton group has debuted its latest property in the heart of Bali’s lush Ubud jungle. Designed by Kuala Lumpur based firm, DesignWilkes, the sustainably sourced Mandapa resort is modelled on an indigenous Balinese village to include its own temple and private rice paddies, where guests can turn their hand at planting and harvesting. The 60 suites and villas – some with private pools and each with views over the verdant rain forest – come with a dedicated Patih (butler) and are decorated with local artwork, available to buy from the onsite boutique. 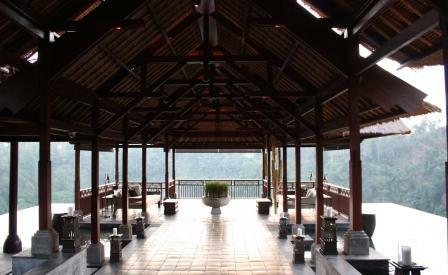 After a yoga class in the tranquil river-front studio, or a pamper session in the spa, head to Kubu, one of the resort’s four restaurants, to dine on Italian chef Maurizio Bombini’s classic Mediterranean dishes, in one of the nine private bamboo cocoons that overlook the idyllic Ayung river.